This part lists all the VisualStates, visible as defined by the associated StateManager, for the currently selected metadata in the Metadata Tree. This part contains all the ElementMetadata instances, associated with an ItemMetadata. These are definitions for all the elements that can be styled. 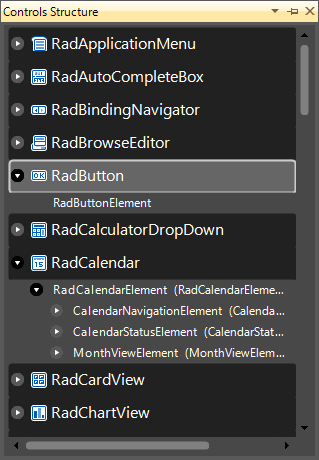 As seen from the screen, this list contains definition for the RadButtonElement itself as well as for its primitive children that do not have own StateManager. 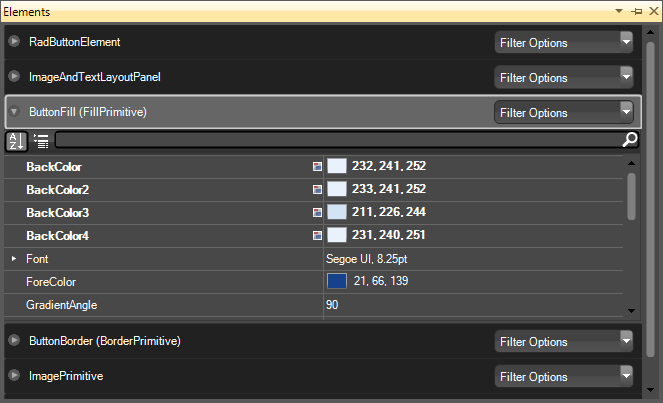 An embedded PropertyGrid allows editing of properties directly in the grid itself. 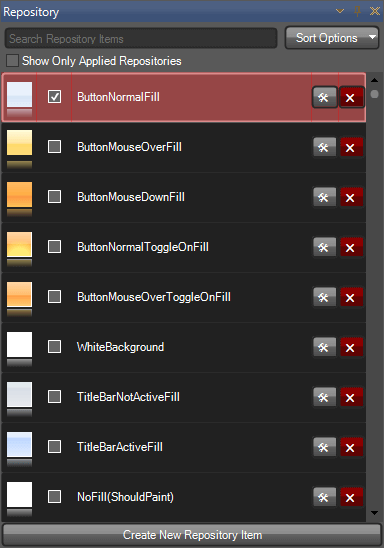 This part lists all the repository items available for the currently edited theme. Items are filtered by the type of the currently selected element in the Elements Grid – for example if a FillPrimitive is selected the only Fill repository items are listed. This part displays an instance of the currently selected control in the metadata tree. 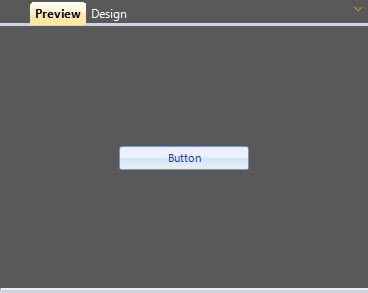 Two different views are supplied – Preview and Design – where the preview one simply hosts the control while the design one adds extended functionality over the hosted control. Selection in Control Metadata Tree, Element States and Elements Grid completely defines all the conditions needed for an element to be styled. 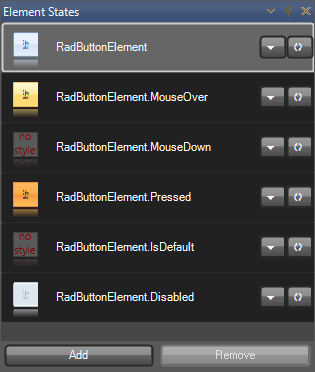 We have the selected item, its state and the actual element instance that will have the style settings applied. All operations in the Visual Style Builder are related to its current selection path.